Παρουσιάστηκε το νεότερο μοντέλο υπερήχων της Κορεατικής εταιρίας Alpinion με όλες τις νεότερες και σύγχρονες τεχνολογίες διαγνωστικής απεικόνισης. 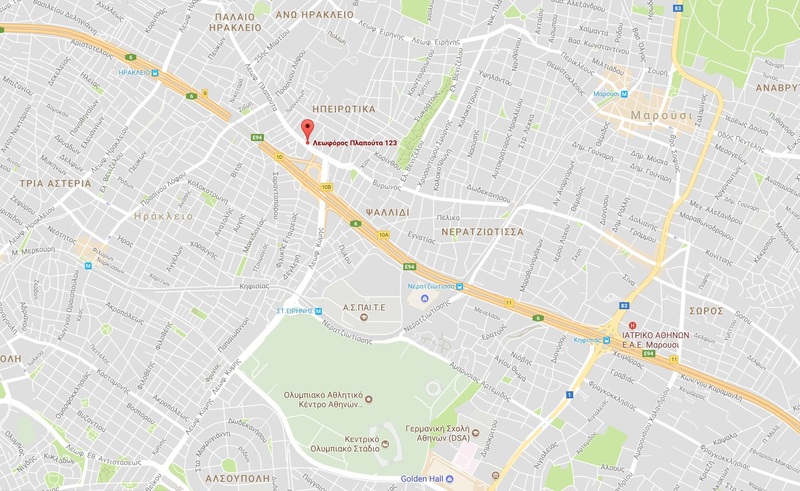 Για περισσότερες πληροφορίες μπορείτε να δείτε στο site μας www.ippocratis.gr στη κατηγορία των υπερήχων Alpinion. This product is provided with a CE marking in accordance with the regulations. 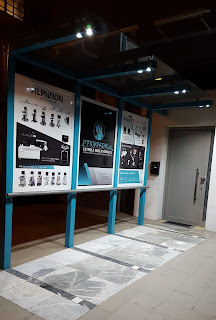 Θα θέλαμε να σας ενημερώσουμε πως από τις 16/10/2017 το κατάστημα μας στην Αττική άλλαξε διεύθυνση σε νέο και μεγαλύτερο χώρο, με εύκολη πρόσβαση (Λεωφ. 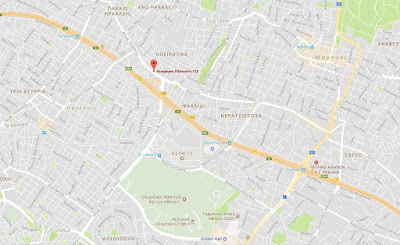 Κύμης – πίσω από το Ολυμπιακό Στάδιο, τέρμα πάνω) και με μεγάλο άνετο parking. 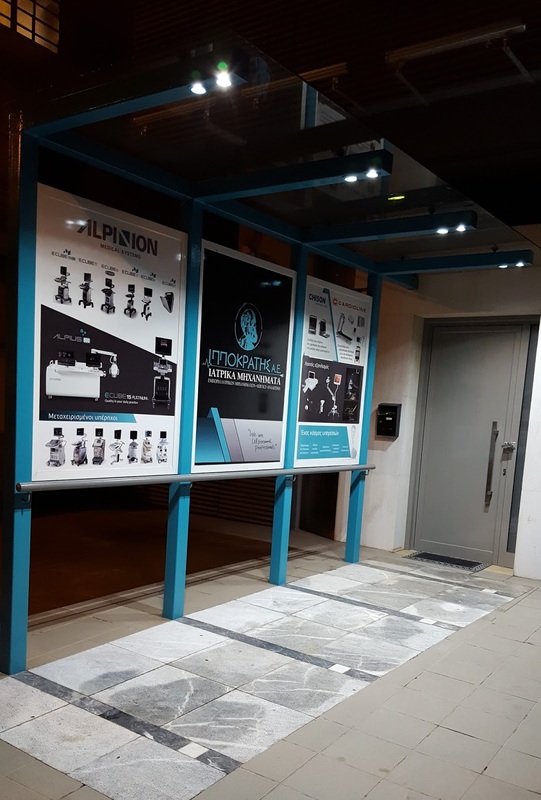 Θα χαρούμε πολύ να μας βρείτε στην νέα μας διεύθυνση στη Λεωφόρος Πλαπούτα 123, Ηράκλειο Αττικής, 14121. Τέλος θα θέλαμε να σας ευχαριστήσουμε όλο αυτό το διάστημα για την υποστήριξη που μας δείχνετε. 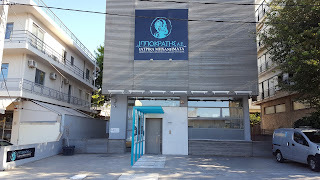 Για οποιαδήποτε πληροφορία ή διευκρίνηση μην διστάσετε να επικοινωνήσετε μαζί σας στα ακόλουθα τηλέφωνα. Σας ευχαριστούμε πολύ! 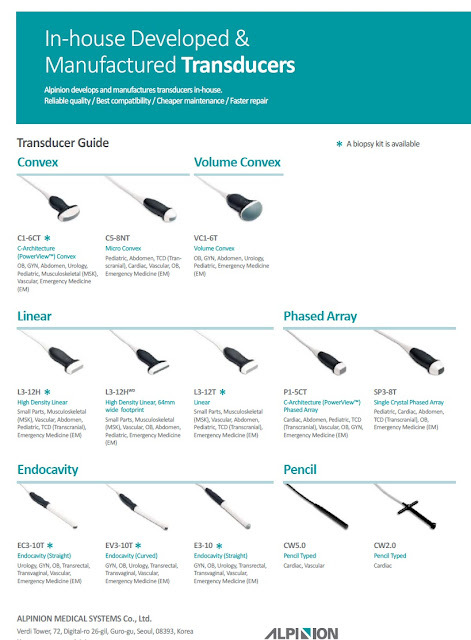 ALPINION’s transducer portfolio, supported in Greece and Cyprus by Ippocratis Medical Equipment S.A., includes conventional piezo-ceramic, composite PZT and the latest single crystal materials. Single crystal material produces broadband frequency response and higher sensitivity, permitting its use in harmonic imaging with minimal loss of the acoustic signal. It results in more uniform wide-bandwidth imaging and thus offers higher resolution images to the user. ALPINION has overcome the historic engineering and application limitations in the processing of delicate and expensive single crystal transducer materials through a unique and proprietary fabrication process. 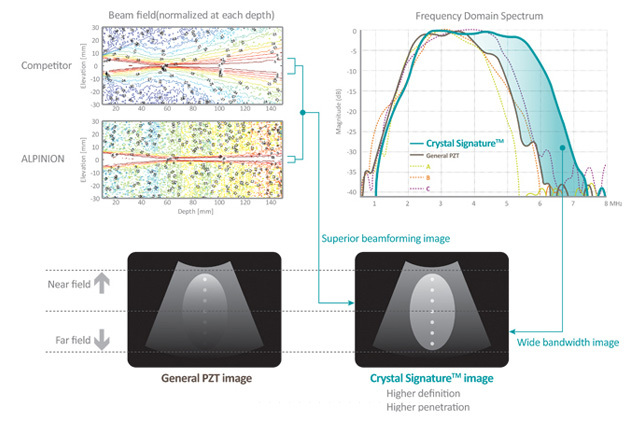 With ALPINION’s high performance single crystal transducer, users acquire broadband images with unparalleled sensitivity. • Ergonomic Transducer design with a flexible cable supports pain-free wrist manipulation when imaging. 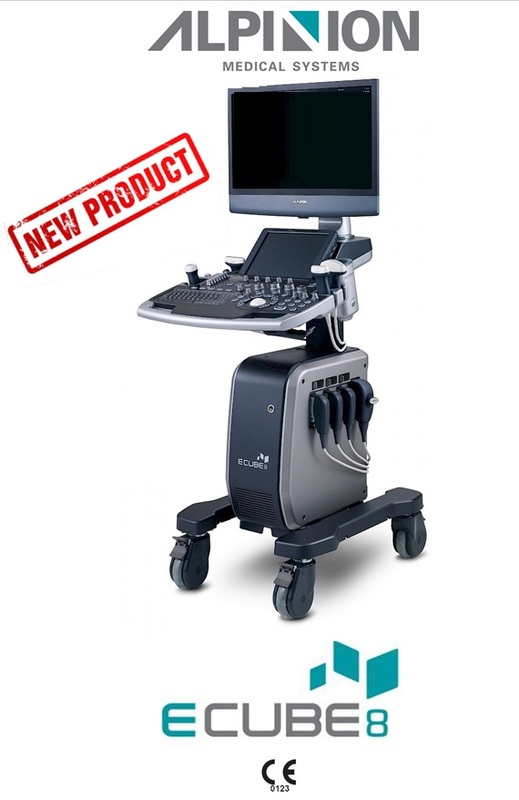 ALPINION MEDICAL SYSTEMS Co., Ltd., announced today the launch of a new E-CUBE Series ultrasound system. 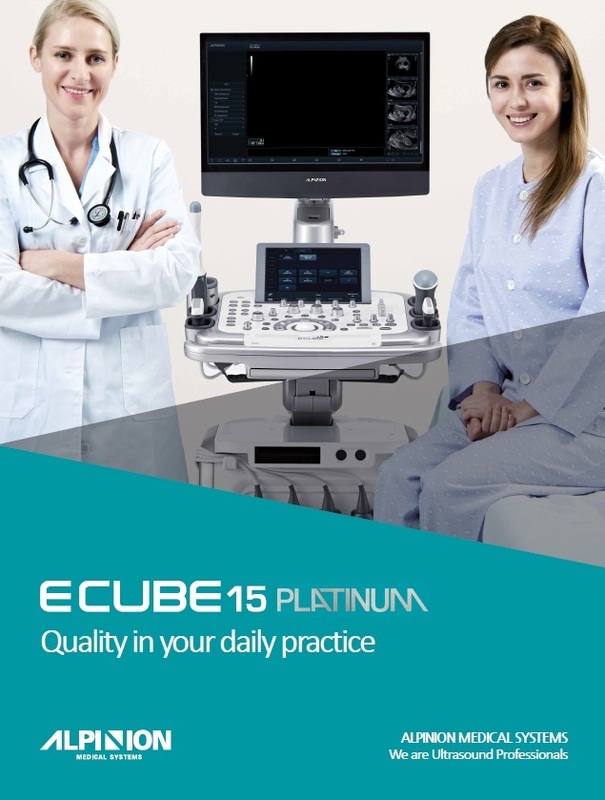 Developed to enhance user experience and patient care in a range of clinical areas, the E-CUBE 15 EX produces superb image quality. 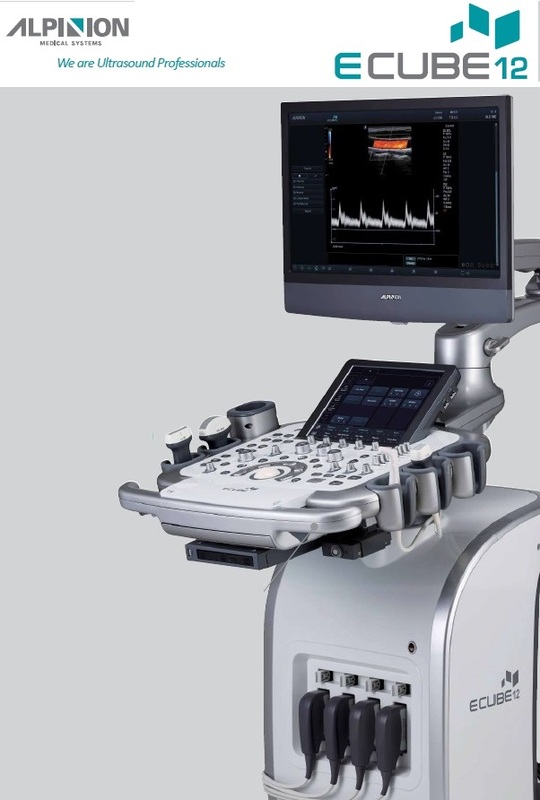 With advanced imaging technologies, this system delivers outstanding clinical performance in women's health, general imaging, and shared service applications. The latest in the renowned E-CUBE Series, the E-CUBE 15 EX provides advanced women's health practice - delivering innovations in automation for fetal health and cardiac monitoring from the early stages, imaging capabilities for a comprehensive range of complex women's health issues, and new transducer technology. ALPINION, known for its expertise in transducer technology, has created the world's widest-angle Endovaginal transducers (EV3-10X, EC3-10X) featuring a maximum field of view of 230 degrees to provide more anatomical information in a single view, as well as a volume Endocavity transducer (VE3-10H) with a 10mm tip. The new transducers provide great value early in the first trimester and in gynecological exams, not only helping to detect fine details with high resolution, but also reducing procedure time and patient discomfort. The combination of Live HQTM generating exceptional anatomical realism through the use of a moveable light source and the industry-first volume single crystal volume convex transducer maximize the 3D/4D image quality. 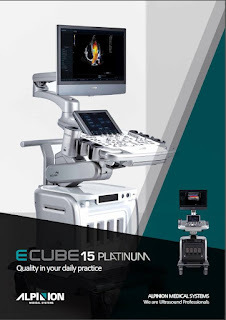 The E-CUBE 15 EX also incorporates Auto NT, which automatically measures nuchal translucency thickness. This feature is not only quick, easy, and efficient, but also increases accuracy by reducing the inter- and intra-operator variability when performing such measurements manually. 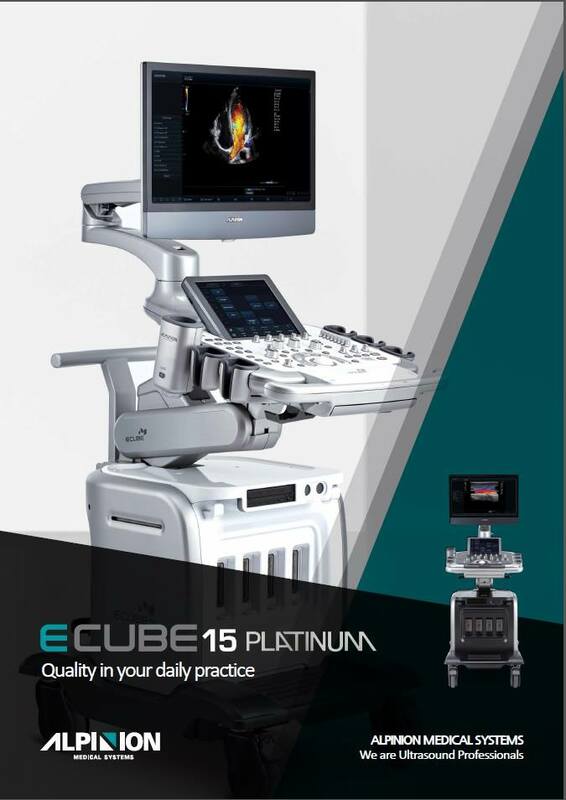 The E-CUBE 15 EX provides several innovative quantitative features, stress echo, and TEE transducer for cardiac imaging capabilities. Elastography gives physicians the ability to non-invasively measure and quantify tissue stiffness in the thyroid, breast, and other organs through acquiring the strain ratio between the target and reference area faster than before. When using MRI as a reference, ultrasound examinations provided reliable screening for the detection of clinically important adverse local tissue reaction legions surrounding metal-on-metal or highly cross-linked polyethylene bearings, according to study results. Takashi Nishii, MD, and colleagues assessed 131 hips of 105 patients who received ultrasound and MRI examinations after total hip arthroplasty performed with either metal-on-metal (MoM) or highly cross-linked polyethylene(HXLPE) bearings and screened them for adverse local tissue reaction(ALTR). Ultrasound examinations showed a similar frequency of periarticular abnormal patterns among patients who received MoM and HXLPE bearings, while MRI showed abnormal lesions of similar size and predominant involvement of Type I lesions in both groups. Between ultrasound and MRI findings, researchers found substantial agreement for the detection of abnormal lesions in both groups. When MRI findings were used as a reference, ultrasound examinations showed a sensitivity of 74%, specificity of 92% and accuracy of 84% in detection of abnormal lesions in the MoM group and sensitivity of 90%, specificity of 83% and accuracy in 85% in the HXLPE group. Results showed ultrasound examinations failed to detect ALTR in seven hips in the MoM group and two hips in the HXLPE group. However, ultrasound examinations detected ALTR in three hips in the MoM group and eight hips in the HXLPE group that were not shown with MRI, according to study results. Disclosure: Nobuhiko Sugano is on the editorial board for the Journal of Arthroplasty and is a board member for Computer Assisted Orthopaedic Surgery International.